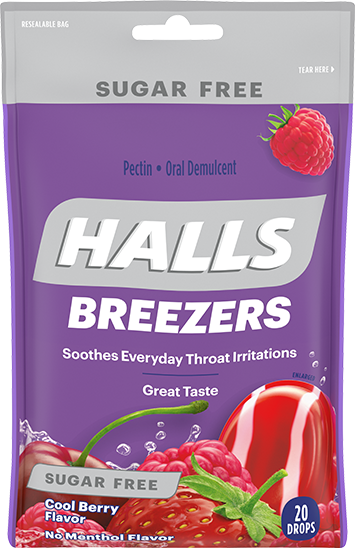 HALLS Breezers Throat Drops – Find the Right HALLS For You! A taste of honey helps the menthol go down. Use as directed. 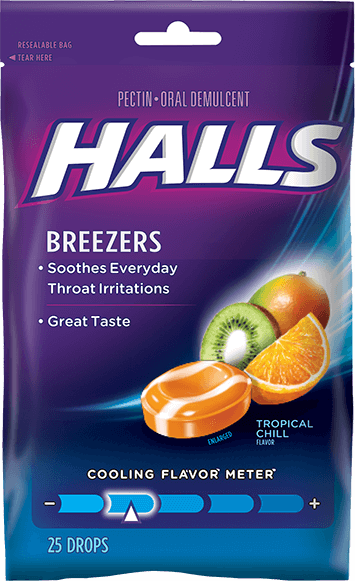 HALLS Cough Drops. For the temporary relief of coughs and sore throats. HALLS Night Time Honey Chamomile Flavor Cough Drops suppress coughs to help you sleep. Product does not contain a sleep aid. Now with 225% Daily Value Vitamin C in each serving. Use as directed. HALLS Defense Dietary Supplement Drops help support the immune system. #This statement has not been evaluated by the Food and Drug Administration. This product is not intended to diagnose, treat, cure or prevent any disease. Keep ‘em happy this school year. Kid friendly flavors! Real benefits! 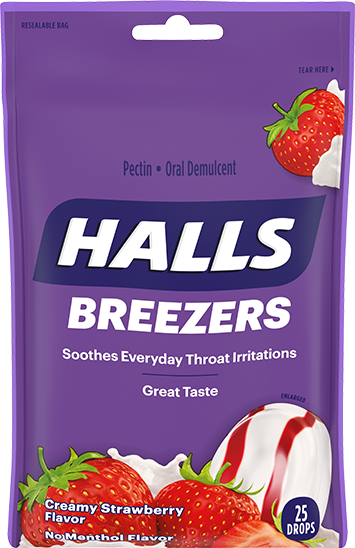 HALLS KIDS Cough & Sore Throat Pops: For the temporary relief of coughs due to cold, occasional minor irritations or sore throats. HALLS KIDS Vitamin C Pops: 100% Daily Value Vitamin C in each pop. Be prepared for whatever life throws, or coughs, your way. Use as directed. 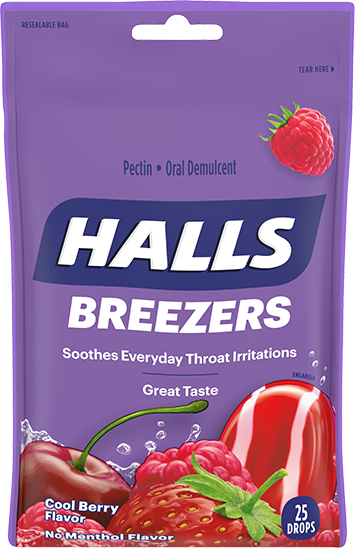 HALLS Cough Drops: For the temporary relief of coughs and sore throats.